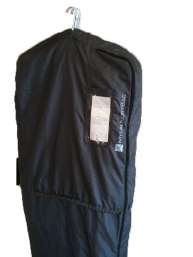 Our Customer: "We are a dry cleaner and want to get away from using one-time use throw away plastic covers." Problem: We promote ourselves as GREEN and the one time use plastic covers is not good for business when our customers keep asking us to take it off before they leave our store. 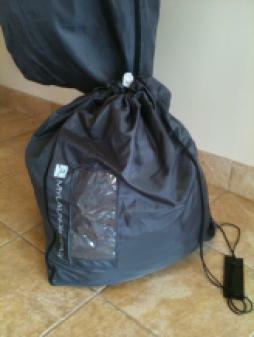 The bag needs to be able to use as a hamper at home and have an inside envelope to make sure that clean clothes do not touch where dirty clothes have been. 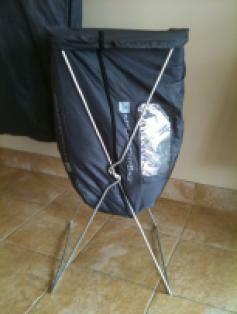 Solution: My Laundry BagTM is made from 100% Recycled PET woven material and doubles as a laundry hamper at home. Available for purchase on-line now for less than $15.